My name is Natalie-Nicole Bates. I live in the United Kingdom and I am a published author of contemporary and paranormal romance. 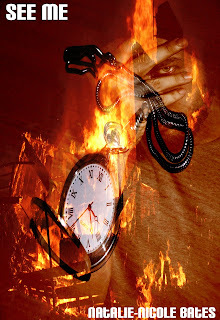 You can find out more about my books by visiting www.natalienicolebates.com. Here is where you will find my collection of antique photographs, some of which have inspired my stories. 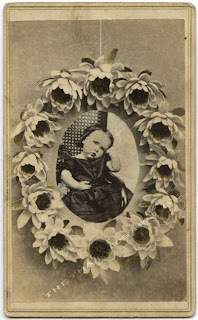 This CDV was the inspiration for Charlotte as a child in my new paranormal romance SEE ME which is available now at Leap of Faith Publishing. I fell in love with this beautiful little girl. This photo was purchased from an online seller. 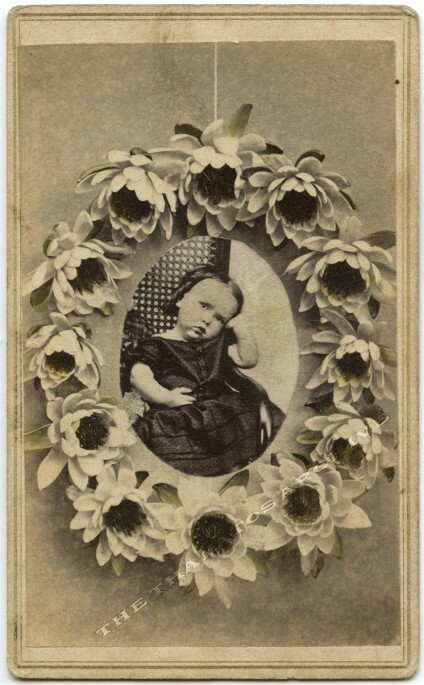 An original 1860s carte de visite of a little girl in a chair with her head on her palm. Her photo is surrounded by flowers. I am not sure if this unusual composition indicates a memorial / remembrance photo or not. There has been some very light original tinting added. Her cheeks are light pink and the flowers have hints of green and yellow.